In 2013, half of intramural business expenditure on R&D (BERD) was focused on six industrial branches (‘Manufacture of motor vehicles’, ‘Manufacture of air and spacecraft and related machinery’, ‘Manufacture of basic pharmaceutical products and pharmaceutical preparations’, ‘Computer-related and information service activities’, ‘Professional, scientific and technical activities’ and ‘Manufacture of chemicals and chemical products’). In the public sector, dedicated research institutions (EPST and EPIC) carried out 54% of all R&D funded by intramural government expenditure (GOVERD). In 2013, intramural business expenditure on research and development (BERD) totalled €30.7 billion, while government expenditure (GOVERD) was €16.8 billion. The increase in gross domestic expenditure on R&D (GERD) in comparison with 2012 was due both to increased business expenditure (1.4% in real terms) and government expenditure (1.0% in real terms) (table 28.01). In 2014, this growth in GERD is expected to slow down (0.7% in real terms), due to a smaller increase in BERD (+0.9%) and GOVERD (0.5%). The breakdown of BERD among the main fields of research reveals a marked concentration (table 28.02). 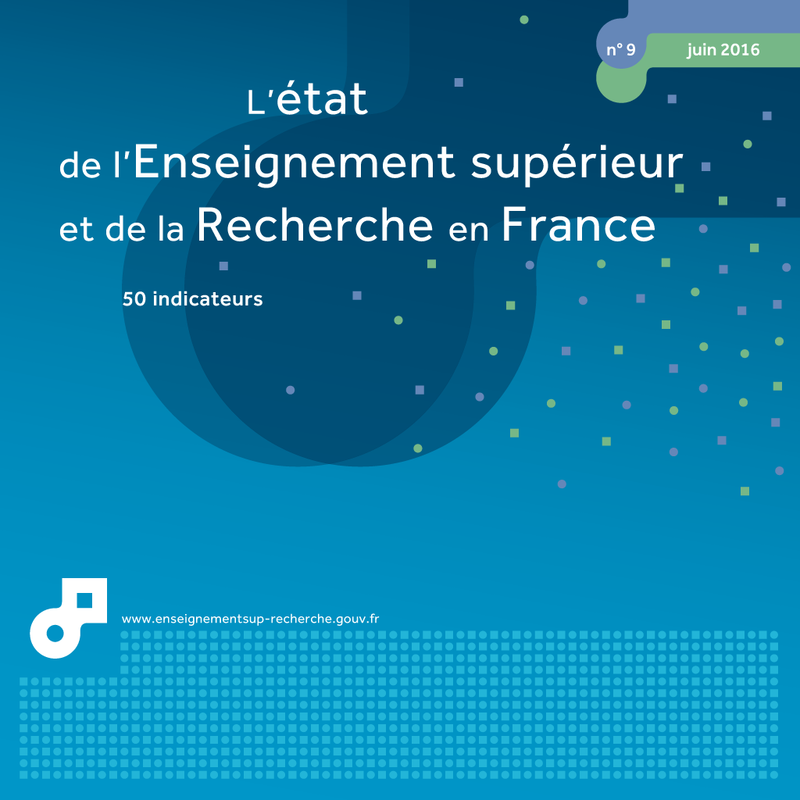 Six of the 32 research areas receive half of France’s R&D resources: ‘manufacture of motor vehicles’ (13% of BERD); ‘manufacture of air and spacecraft and related machinery’ (11%); ‘manufacture of basic pharmaceutical products and pharmaceutical preparations’ (10%); ‘specialised scientific and technical activities’ and ‘computer-related and information service activities’, each 7%; and ‘manufacture of chemicals and chemical products’ (6%). Since 2007, the ‘manufacture of motor vehicles’ field has become more dominant, primarily to the detriment of ‘manufacture of air and spacecraft and related machinery’. In 2013, it recorded the same level of expenditure as in 2007. 'Manufacture of air and spacecraft and related machinery’ has been very dynamic since 2011. By contrast, expenditure on the pharmaceutical industry has fallen since 2008. Taken as a whole, research fields within the service sector received 21% of BERD (€6.6 billion). In the past 3 years, R&D expenditure within the service sector has shown significant growth, increasing by 7.3% a year on average in real terms, in comparison with a fall of 1.5% a year in real terms in industrial R&D expenditure. For the 'primary, energy, construction' sector, the average annual development of +4.7% is triple that for the industrial manufacturing sector. In 2013, 64.7% of businesses in France carried out R&D, placing France ahead of the United Kingdom (64.5%) but far behind South Korea (79%), Japan (76%), the United States (71%) and Germany (68%) (chart 28.03). However, it should be noted when making comparisons with other countries that R&D by French businesses does not cover the country’s entire technological and industrial field. A considerable proportion of high-level technological R&D is carried out by dedicated State research institutions and foundations. Public research is carried out by dedicated research institutions (accounting for 55% of GOVERD in 2013), higher education institutions (40%), the private non-profit sector (4%) and government departments and other State institutions (1%) (chart 28.04). In 2013, State-owned scientific and technological establishments (EPST), of which there are eight, carried out 36% of government-funded R&D. They varied widely in size, from the multidisciplinary National Centre for Scientific Research (CNRS), which conducted 19% of government-funded R&D, to the French National Institute for Agricultural Research (INRA) and the French National Institute of Health and Medical Research (INSERM), both of which accounted for 5% of GOVERD. State-owned industrial and commercial establishments (EPIC), of which there are twelve, were responsible for 23% of government-funded R&D. R&D was also highly concentrated among EPICs, with 14% of GOVERD going to the civil division of the French Alternative Energies and Atomic Energy Commission (CEA) and 3% to the French Government Space Agency (CNES), with the remaining EPICs accounting for 5% of GOVERD. Between 2012 and 2013, GERD fell in real terms among EPICs (-0.2%) and in the National Centre for Scientific Research (CNRS). However, R&D expenditure increased in real terms in the other EPSTs (+1.4%), in higher education (+2.1%) and in the not-for-profit sector (+3.6%). Extract from the chapter "28. gross domestic expenditure on research and development". In 2013, gross domestic expenditure on research and development (GERD) was €47.5 billion, up by 1.3% in real terms compared with 2012. The increase in GERD is due to an increase in business enterprise (+1.4%) and goverment expenditure on R&D (+1.0%). In 2013, R&D activities by businesses and government employed 418,000 people at full-time equivalent. The nation's research effort, which is the ration of GERD to Gross Domestic Product (GDP) was 2.24% in 2013. It should increase slightly in 2014 to reach 2.26%. GERD should increase by 0.7% in real terms in 2014 (estimate), at a higher rate than GDP (+0.2%). In 2013, gross domestic expenditure on research and development (GERD) amounted to €47.5 billion, an increase of €1.0 billion compared with 2012. When corrected by inflation, GERD increased by 1.3% in 2013. Business enterprise GERD (BERD) rose by 1.4% in real terms, while government GERD (GOVERD) increased by 1.0%. Research effort, which is the ratio of GERD to Gross Domestic Product (GDP), amounted to 2.24% in 2013, compared with 2.23% in 2012. It has increased by 0.22 points since 2007. In 2014, the growth in GERD should slow down (+0.7% in real terms) due to the lower growth in government and business expenditure. GOVERD should increase by 0.5% in real terms, reaching €16.9 billion. The increase in BERD should also slow down (+0.9% in real terms), amounting to €31.2 billion in 2014. However, at 2.26%, the nation's research effort should rise slightly once again.